NACA was pleased to coordinate an aquaculture study tour to Bangladesh, Vietnam and Thailand from 19-26 April for a delegation of twelve fisheries development officials from Assam, India. The delegation included Mr Sri Hemanta Narzary, Commissioner and Secretary for Fisheries; Mr Sri Kailash Chang Damria, State Project Director for the ARIAS Society, Mr Sri Siddhartha Purkayastha, Deputy Directory of Fisheries, and district fisheries development and extension officers. 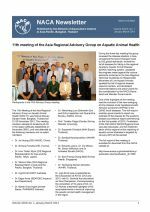 Regional workshop on freshwater extension approaches in the Asia-Pacific region, held at the International Symposium on Small-scale Freshwater Aquaculture Extension. Health issues are not going away. 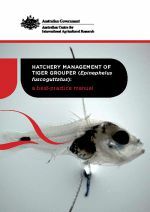 Sustainable and Ethical Aquaculture Trade project in China. 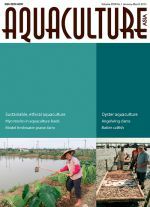 Oyster aquaculture for coastal defense and food production in Bangladesh. 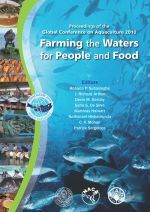 Importance of mycotoxins in aquaculture feeds. 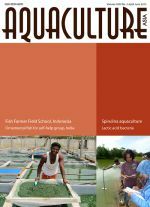 A model modular farm for size grading and monosex culture of freshwater prawn. Angelwing clam (Pholas orientalis) future assured after Thai DOF's breeding success. 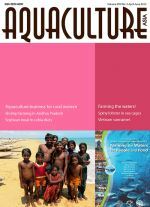 Ompok bimaculatus, an emerging species for diversification of aquaculture in Tripura, North-eastern India. 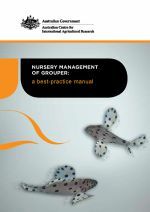 This practical manual "Guide to establishment of community-based aquaculture management groups" was prepared by the national team of Vietnam under the ASEAN Foundation supported project "Strengthening capacity of small holder ASEAN aquaculture farmers for competitive and sustainable aquaculture".